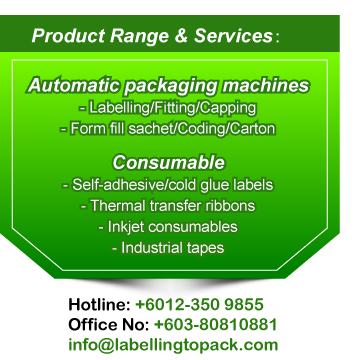 We provide comprehensive solutions with performance and quality base of labelling and packaging machines to fulfil customers business expansion needs. Our company premise is located at Tiara Square, Subang Jaya, Selangor, Malaysia. We specialize with supply and provide after sales services for comprehensive imported quality range of labelling machines and end packaging machines to domestic and international market. We are glad to serve you with more information should you need to contact us. "